January 25, 2019 by Laurie 12 Comments This post may contain affiliate links, which means if you click on a link and purchase something, I may earn a small commission (at no additional cost to you.) See my disclosure policy HERE. 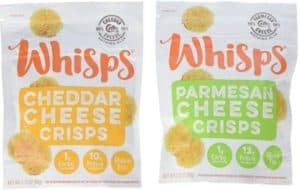 New Keto Post Updates: Check in on my progress at Keto Week 3 , find out How to Get Back in Ketosis after a Cheat Day and check out my fave Keto Shopping List finds at Aldi! 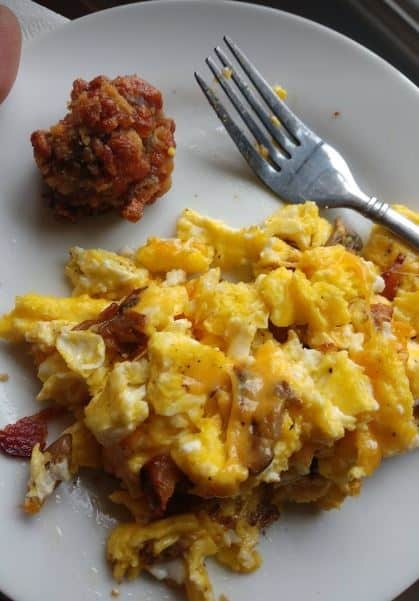 I have been a junk food junkie for ever and ever – but something changed in me last Tuesday morning and I decided to just jump on the Keto bandwagon. Like right after I put down my third cup of sugary creamery coffee it was go time. Anyway my friends are always offering to help me get started and I'm always like – LOOK FRIEND. STEP AWAY FROM MY BREAD. But the thought's been rolling around in my head for awhile and seeing as I was my heaviest EVER this winter – I decided it was time for a change. Keto here I come! **Keep in mind as you're reading these that Keto folks only get to have around 20 grams of carbs a day (varies based on weight and goals). You get it. It's HARD! Anything super low carb is glorious miracle food! They. Are. So. Good. The box comes with 14 peanut butter cups and I treat myself to one after dinner when the kids are all eating cookies RIGHT IN MY FACE. They're only 1 net carb!! The chocolate is a little darker and harder than a Reese's Cup – and the peanut butter is drier – but delicious. 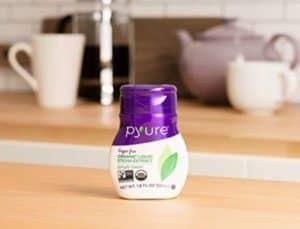 Keto people are supposed to have natural sugars (like Stevia) and this one has an added flavor. 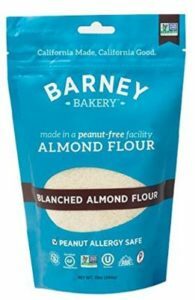 I do a couple of squeezes of this into my coffee and add some heavy whipping cream for a super low carb coffee. Plus there was an eCoupon for it last time I checked! So let's address the elephant in the room. These are $9 A BAG chocolate chips. Also – I DO NOT CARE. About a week and a half after I started Keto I started getting some achey legs at night. 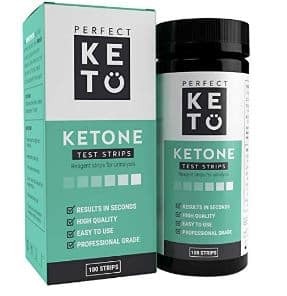 I asked MANY people who had been on Keto for a long time, and I found out that I was likely low on electrolytes and magnesium. 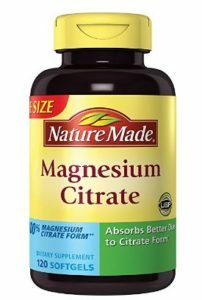 I ordered this Nature Made Magnesium Citrate – and it even had a nice 25% OFF coupon! These are my 11pm go-to (along with the last item on the list). Almost no carbs. Like I can eat 2 or 3 and it's still less than a carb. They're that salty, briney and kinda crunchy thing I'm craving around 11pm. If you're a pickle person – it's sort of the same thing with those! 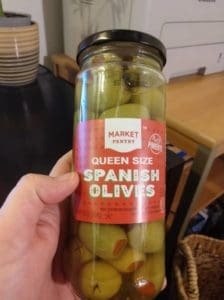 Those Olives to Go or Olive Snack Bags would be super handy too! Please don't judge me friends. 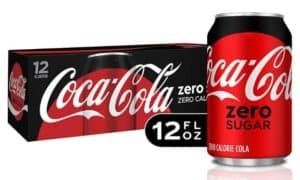 I'm just being honest here – if I weren't able to have a sip of Coke Zero now and then (which has no carbs) then I might be a meaner mom. It makes me “lazy keto” because it's not a natural sugar – but that's a-ok with me! Also if you're a Prime Pantry member you can get these for only $2.66 per 12-pack!! This was very interesting. 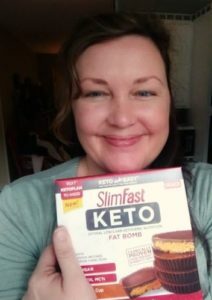 Do you have a blog I could follow to see your progress and any tips you have for going keto? I did check out the blog with diet plan that you mentioned but not sure if I want to pay $200 for that plan just yet. Thanks so much for all the info. I will definitely check these out. Congratulations on your success so far–it sounds amazing! Would love it if you would keep us posted on your progress and any tips you have (like this post about what foods you like, etc.). And maybe Laurie could update us as well since you said she does this sporadically. Also, do you do the intermittent fasting? I have been trying this for about a month but don’t seem to make it past 14 hours. Jamie here – I sure will Barbara! best of luck to you too! I have tried going a few days where I stop eating around 8 or so at night and in the morning I only drink black coffee until lunch time. I try and streeeeetch lunch time out so that I don’t eat until 2. (That’s about 18 hours) That’s as far as I’ve gotten! I think doing that once a week or twice a week probably really does make a difference! Im preparing to start. Thanks for these tips. Do u have a blog that I can follow you. Russell Stover sugar free candy is really good and low carb. I love the peppermint patties but then pecan clusters are good too. Like you just need one after dinner you can get them at Walmart, dollar general, Publix. Couldn’t get link for slim fast to work. I love them and Lilly’s so much! 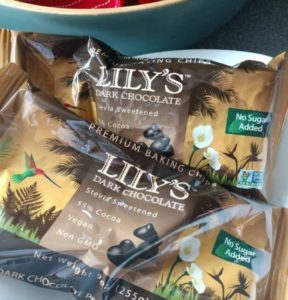 I order Lilly’s from lucky vitiman and they are like $5 something a bag. Also have discovered choczero chocolate bark. It’s to die for! Bummer ~ looks like those are sold out Erin! You may be able to find another option that looks yummy here! 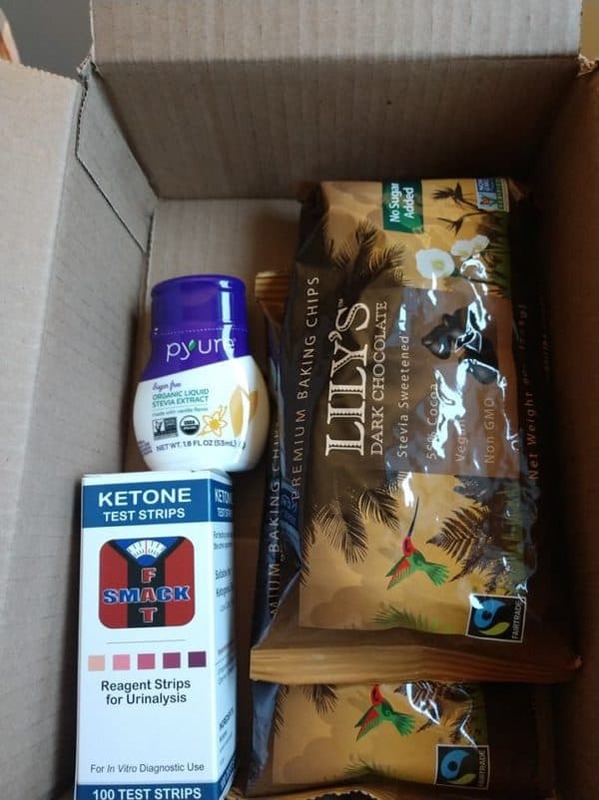 🙂 —> https://www.amazon.com/s/ref=as_li_ss_tl?url=search-alias=aps&field-keywords=slimfast+keto&linkCode=ll2&tag=publix-20 Thanks so much for the tip on the chocolate bark!